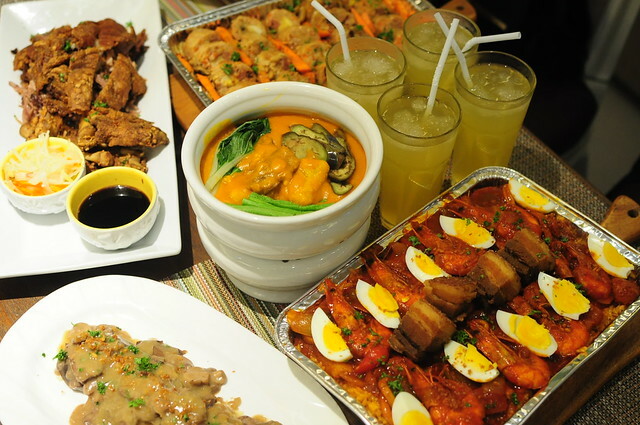 Pinac's delicious Kare-Kare (P365), Crispy Pata (P645), Pork Embutido (P1,550) and Overload Pinoy Paella with BAGNET (P1,250) are just the greatest things that can happen to your dinner table. Sometime in November last year, I got a chance to dine for the first time in Pinac, a casual dining restaurant that serves delicious, DELICIOUS Capampangan dishes. 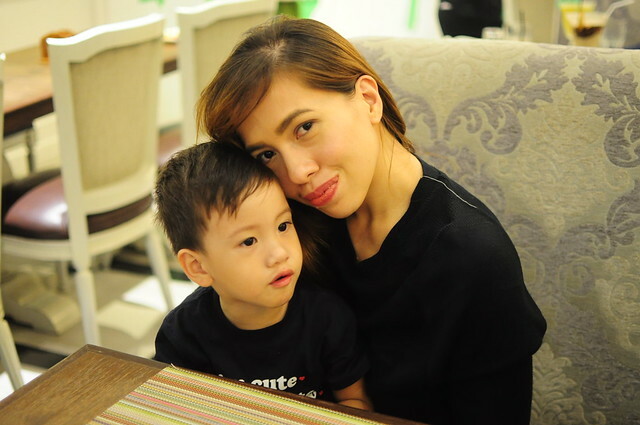 Filipino dishes will always be my topmost favorite cuisine and I am very particular to the Filipino restaurants I dine. Since I get to eat most of the dishes at home, I make sure that when I eat them in a Filipino restaurant, they taste far better than home. Fortunately, the dishes in Pinac passed my standards -- with flying colors. 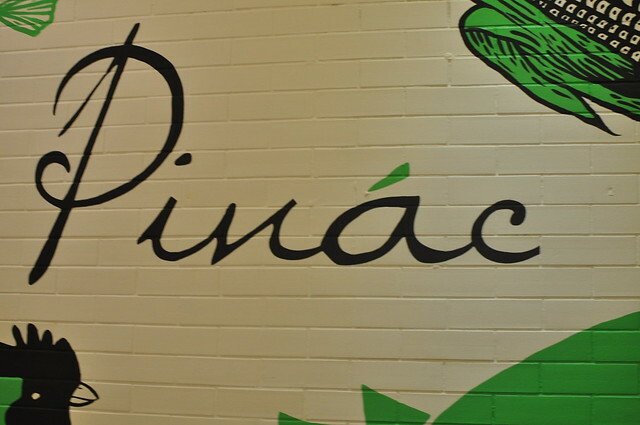 Most of Pinac's signature dishes have its own twist. This Pork Embotido platter in particular is served underneath a soft, buttery mashed potato that you would not need rice to partner with is. 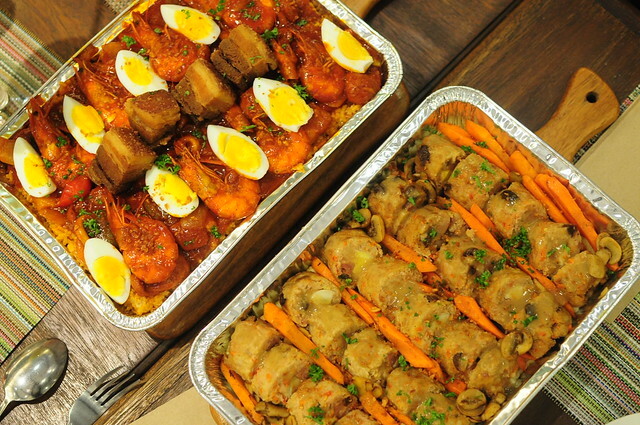 The Overload Pinoy Paella is a wonderful experience for you get to enjoy your crispy bagnet with shrimp and boiled egg. It was my first time to try a Pinoy inspired paella and I was very much impressed. 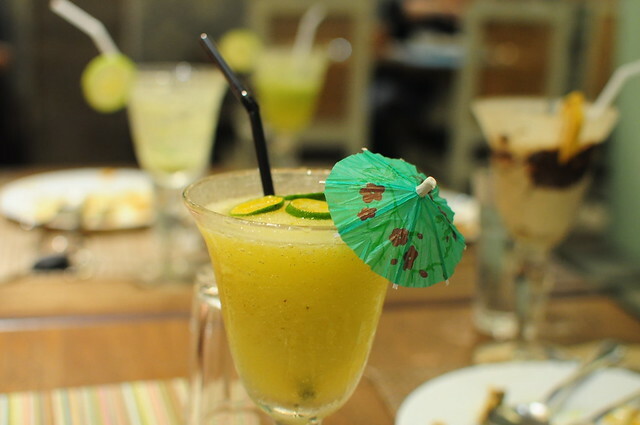 The cucumber mint dalandan shake is perfect for those who love that citrus flavor! It has a very cool and refreshing taste that my son, Leon enjoyed! 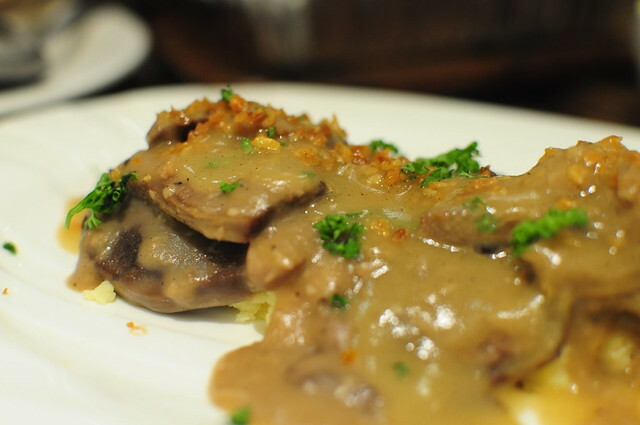 Pinac's Kare Kare, Lengua and Crispy Pata are just so great that you just can't stop serving yourself with rice. 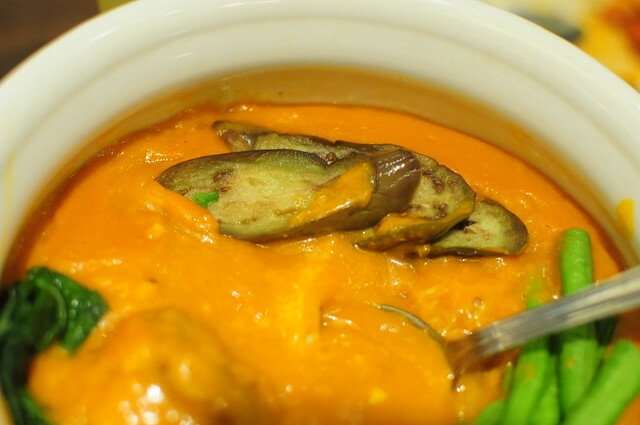 I enjoyed the classic nutty taste of their Kare Kare while devouring the sweet yet salty bagoong. 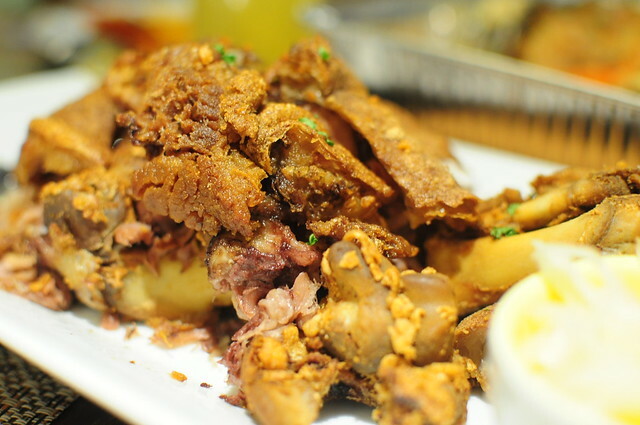 The Lengua is also good and the crispy pata.. who doesn't love crispy pata? 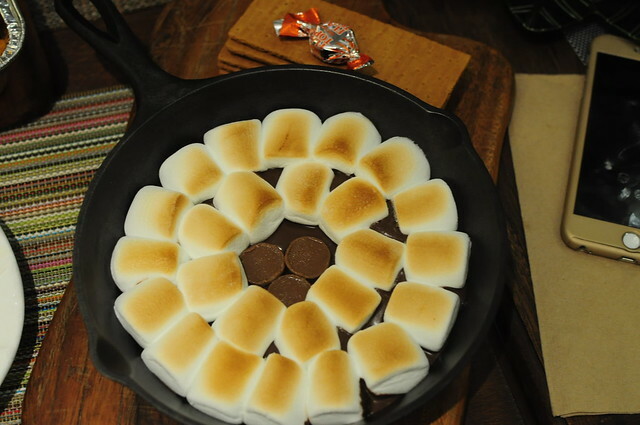 Flat Top Smores (P255) - The best thing that ever happened to Flat Tops. Or smores.Or both. When it comes to dessert, Pinac did not disappoint. I fell madly in love with their flat tops smores for it brought back so many childhood memories. 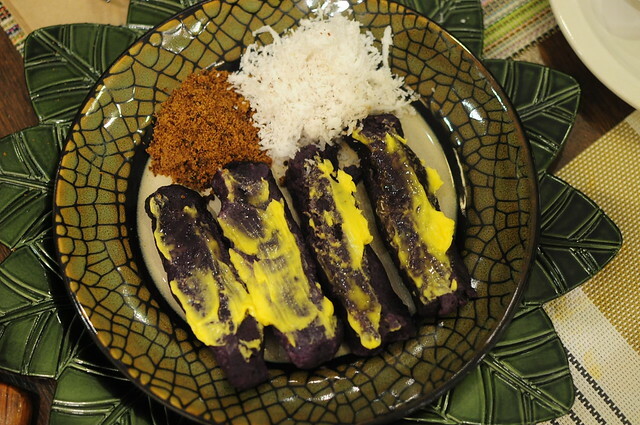 Their puto bumbong on the other hand tops my list of the best puto bumbong I ever tasted cause you can taste the ube halaya. The muscovado sugar is also perfect to pair with it. Obviously, I enjoyed eating at Pinac a lot. Right after dining, I immediately planned to have our Christmas lunch on that restaurant however due to some unforseen circumstance, we were not able to celebrate Christmas the past year. Still, when the situation gets better, I promise to bring my folks here. My lolo is kapampangan, and I am sure he would love it in Pinac!